People notice the difference in you when you look and feel your best, and a large part of your self confidence is based in a straight, bright smile that you don’t feel the need to hide. A great way to change how you feel about yourself and how others look at you is to transform your smile with a Glendale, AZ smile makeover. Speak to Dr. Ceyhan about a comprehensive evaluation of your jaw, teeth, and gums to determine what cosmetic dental procedures can correct discolored, chipped, crooked, or misaligned teeth. Correcting orthodontic disorders and performing routine dental cleaning can keep your mouth both healthy and beautiful. 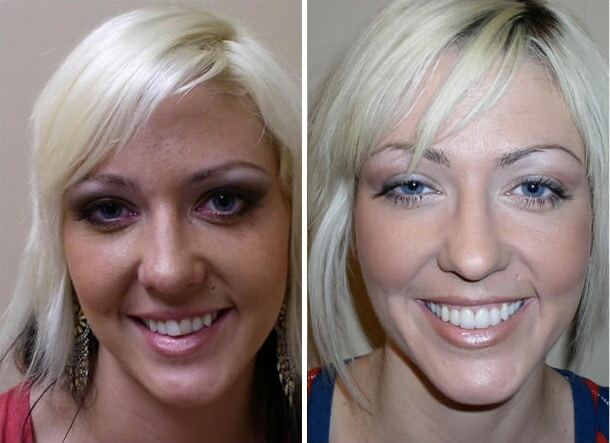 What Are The Advantages of a Smile Makeover? Lower Costs – Knowing the final goal for your dental work can help avoid redundant procedure, reduce treatment time, and save money in the long run. Reducing Office Visits – Combining multiple cosmetic procedures into each visit can reduce the number of visits required to finish up with your new beautiful smile. A smile makeover can dramatically alter the color, width, shape, and length of your teeth to ensure a uniform, brilliant grin, and can also fix uneven and unsightly gums. You can speak with your North Phoenix cosmetic dentist about what look you are looking to achieve. Do you want a more feminine look? Whiter teeth? A more attractive smile line? As well as cosmetic options, your Peoria dentist will also look for functional issues like malocclusion or an improper bite that can cause damage to your teeth or jaw, cause pain, reduce your ability to chew food, or may even change the shape of your jawline and face. Contact us today to learn more about Smile Makeovers in Glendale, Arizona. What’s The Best Way To Improve My Smile? Every person is different, and so is every person’s smile. 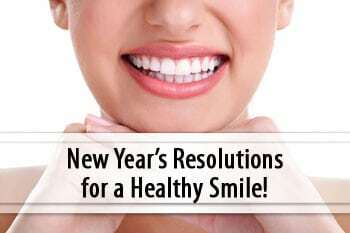 While one person may find their perfect smile after a single visit to our in-office professional teeth whitening service, another may need extensive orthodontic work, a night guard, and several teeth extracted with dental implants placed. 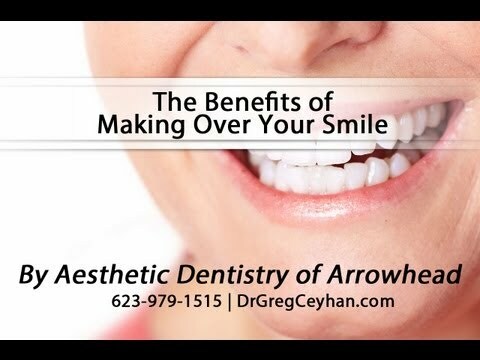 At your scheduled appointment, Dr. Ceyhan will listen to your aesthetic goals, provide you with options on the best ways to achieve those goals, and help you formulate a plan for your Glendale, AZ smile makeover. It’s difficult to determine what a smile makeover would cost for any individual, as it depends on your specific circumstances and what procedures you may need. Be sure to take care of your teeth with regular brushing and flossing, as well as regular professional dental cleanings so that you don’t find yourself with additional expenses due to needing to repair damage done to your teeth. I Don’t Have Time For Braces, How Do I Get Straighter Teeth? Porcelain Veneers are very popular for covering up deep stains, hiding cracks and chips, and giving teeth a straight appearance without undergoing orthodontic work. For those who actually want to straighten their teeth but feel that traditional metal Arrowhead braces are unprofessional or unsightly, Invisalign removable braces are an excellent near-invisible alternative for teens and adults. 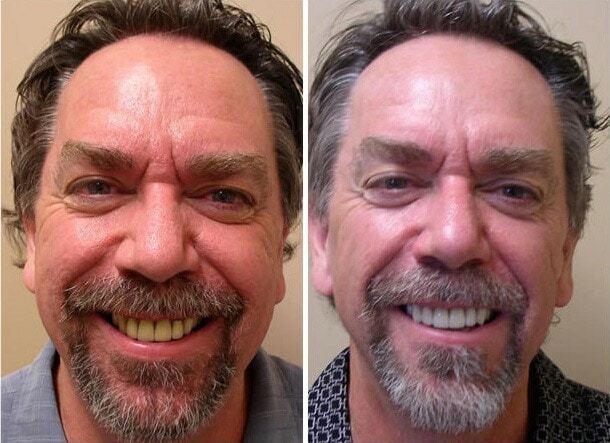 Smile Makeovers with Cosmetic Dentistry The Steps of a Glendale Smile Analysis Smile Gallery The Benefits of Restoring a Smile Can Your Smile Make You Look Older?